What Does Modest Fashion Really Look Like? Pinterest UK tells me that searches for "modest fashion" are up 500% since the beginning of this year. The global modest fashion market is already reportedly worth hundreds of billions and is set to scale up by gargantuan proportions over the next five years. 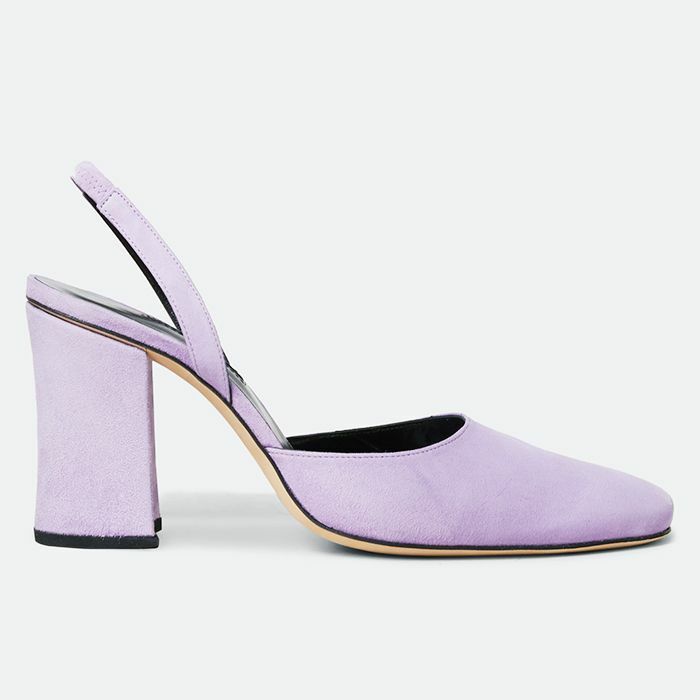 A specialist online store called The Modist has just launched—full of suitably modest pieces from an incredible roll call of brand names, and every kind of girl is shopping from the site, whether they identify as "modest" or not. When you step outside of this specific realm, it's plain to see that runways, cool brands and street style stars alike are also noticeably embracing big shapes, covered-up silhouettes and creative layering. Modest fashion is everywhere. But what exactly is it? As a whole, this movement has been picking up the pace for nigh on a decade, but there's still a fogginess about what it means to be a modest dresser, what it looks like and how it's affecting style-conscious girls right now. Keep reading to discover more. So what does "modest fashion" actually mean? If there's one thing all of the women I spoke to agree on, it's this: There is no one definition of what modest fashion means, but it essentially relates to having a degree of awareness when it comes to covering up parts of your body. This chasm of information we cannot categorise and pigeonhole contributes greatly to the mass market's uncertainty of how to communicate with and supply to women who want modest fashion. It can also make anyone who isn't personally versed in the concept feel ill equipped to talk about it, but perhaps confirming its ambiguity can help to push the concept forward. The reality is that everyone has their own idea of what modest fashion means to them. "Modest fashion as a term, as a market term, came to prevalence in the mid-2000s, and this was partly because a number of the brands that first started up came from designers and creative entrepreneurs who were themselves religiously motivated," says Reina Lewis, professor of cultural studies at London College of Fashion, UAL. She explained to me that the internet made it possible for savvy, underserved religio-ethnic individuals and groups to start providing both the products and content that they were missing. 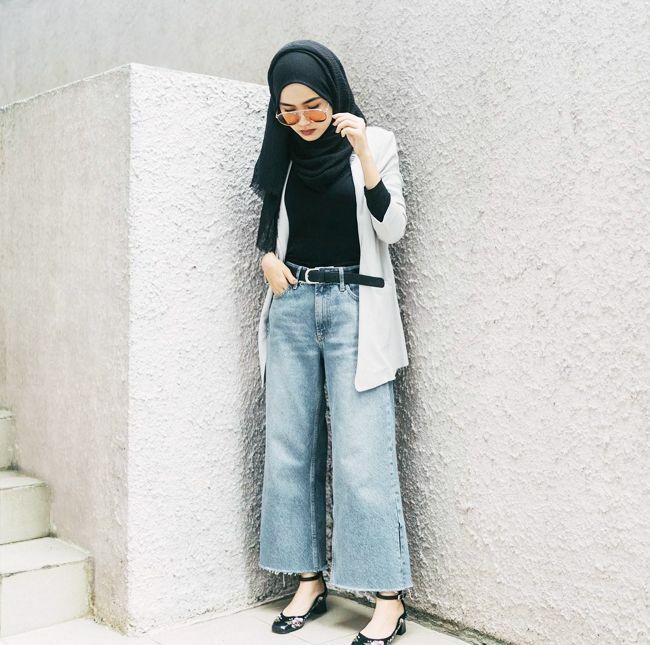 As Hana Tajima—the British-Japanese Muslim fashion designer who recently collaborated with Uniqlo on a range of modest-friendly fashion—tells me, "The reality is that everyone has their own idea of what modest fashion means to them. And that runs alongside peoples' personal preferences of colour and style. It's such a broad idea that gets very narrow inside those two words." So, in brief, modest fashion can describe varying degrees of covering up on purpose. The decision can be due to religio-ethnic fulfillment or to attain a certain aesthetic and level of ease because it is not just a trend that's tied to spirituality. Why is the mainstream fashion industry talking about it now? First up, let's look at the primary stat that gets referenced time and again. According to the Global Islamic Economy Report, the Muslim fashion spend alone in the UK is estimated to reach £226 billion by 2020. This is, in part, due to an increasing number of millennial Muslim women—or Generation M—who have larger amounts of disposable income, thanks to their new positions in the workplace rather than the home. Outside of facts and figures, take a second to think about where fashion is headed right now: Social media has prompted diversity to become a mainstay—not a gimmick—within the industry. It's also shone a light on the (obvious) facts that women of different shapes, faiths, colours, sizes and backgrounds can be just as stylish and can be equally valuable customers. The global response every time the modest fashion market is addressed highlights just how much this faction wants to be spoken and catered to. When DKNY marketed a Ramadan collection of existing pieces that were suitable for modest dressers in 2014, the press coverage was phenomenal. The same goes for when H&M selected Mariah Idrissi to feature in a video in 2015. She became the first hijab-wearing model to feature in one of the megalith's campaigns. She tells me her life "changed overnight. I was scouted in a shopping centre soon after graduating university and [had been] planning on working for myself in a creative field, but I never expected to be a model." "That went viral within minutes," Lewis says of the high-street campaign. "I think the brands involved haven't realised the appetite for this … how much it would get taken up. I think Mariah got more traction and coverage than the other people involved in it, but the video was innovative in a number of ways in terms of how it presented social diversity for fashion." If I'm not religious, can I be a part of the movement? Lewis explains that while the modest fashion market is predominantly growing within the Abrahamic faiths (that's Judaism, Christianity and Islam), according to census data, more and more young people are identifying as "spiritual, not religious." With that in mind, it's quite possible that piety and modest dressing is a by-product, but yes, anyone can dress modestly—to any degree—if they want to. "I would make the point that women interpret requirements to dress modestly in many different ways, and the way they interpret it can change over their life. Within any one religious denomination, there will be a number of different interpretations and practices," Lewis says. "Interestingly there are a lot of non-Muslim women who are drawn to this aesthetic," Tajima says. "There seems to be an overlap of subcultures and women redefining what femininity means to them. It helps that the clothes are inherently comfortable. Japan has been exceptionally receptive to my collaboration with Uniqlo. I think a lot of women aren't necessarily aware that the clothes could be seen as 'modest fashion.' It's just a style that resonates with them." Women interpret modest dress requirements in many different ways, and the way they interpret them can change over their life. Is it a coincidence that the oversized silhouettes—like the super-wide trousers or statement sleeves—we're into are so prevalent on the runways and in stores right now? Fashion is often a reflection of the cultural conversation, and today there are more options than ever for dressing modestly. Lyst, the data-crunching fashion search engine, has seen an increase in related terms such as "high neck" or "long sleeve" increasing by 40% and 52%, respectively, over the past six months. Meanwhile, the brand notes that even more specific categories, such as "modest bikinis," are winning out over skimpier styles. Once you put aside the misconception that modest fashion is only tied to religious and religo-ethnic desires, many of the experts I tapped for information were quick to stress that covering up doesn't have to equate to looking boring or avoiding trends. Anum Bashir, a Dubai-based influencer known for advocating modest fashion on her blog, Desert Mannequin, completely debunks the myth that modest fashion "can't be on trend, or that designers don't design for the modest dresser. … I love having fun with clothes as of late: colours, prints, layers, etc. What I don't tend to do is show too much skin." Does Bashir's process sound familiar to you? It's one that I share, yet I've never purposefully sought out or aimed to participate in the modest fashion movement. The idea is far from restrictive, agrees Lisa Bridgett of The Modist, a newly launched e-commerce platform specialising in a luxury gathering of the most modest-friendly pieces (as well as introducing an in-house line called Layeur based around all of their expertise an knowledge). "Modest dressing is about choice, about beautifully styled pieces that resonate with the wearer and provide an exceptionally fashion-forward approach to being in-season. At The Modist, we are loving the positive and enlightened responses to our fashion proposition that we have had from über-fashionistas, women across faiths who wear clothes to marry with their values. … In many ways, modest dressing provides more opportunities for women to dress stylishly." Who should you look to for modest style inspiration? There's no one city or platform that rules the modest fashion kingdom—and by now it's plain to see this is so much more than burqas and maxi dresses—but Idrissi explains that London is a pretty fine place to start: "As London is so multicultural and one of the fashion capitals of the world, the scene here is so vibrant and alive. I feel we take fashion quite seriously. However, I will say although we have some adventurous dressers, I feel many of us [modest dressers] tend to dress rather similarly but with our own little cultural or personal twist." Keep scrolling for the top modest influencers to follow now. 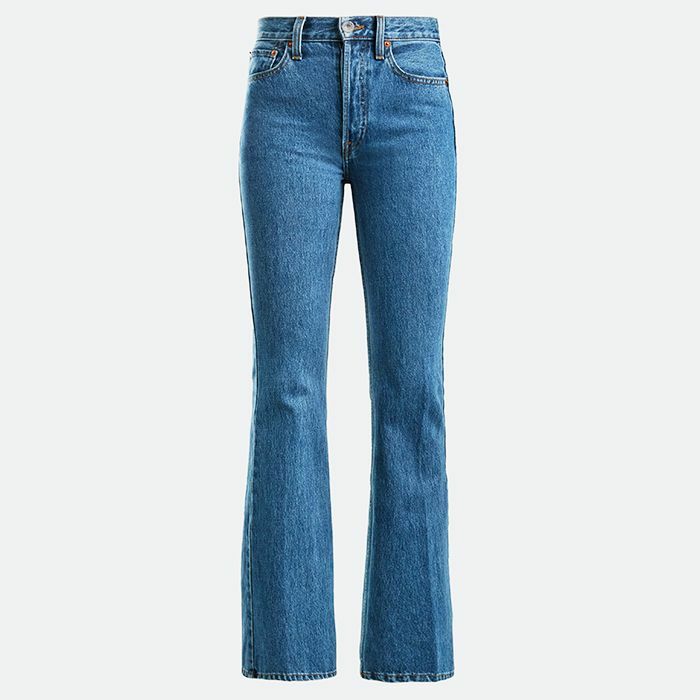 What are the staple items for modest dressers? Idriss's key pieces are far from the traditional super-long skirts or loose layers you'd have imagined: She relies upon "a black polo top, a pair of mom jeans and a white pair of trainers." Designer Tajima has explained that "through the winter, I've been living in thrifted cashmere knits and wide-leg pants. Many years ago, my aunt gave me a beautiful black wool shawl with simple white floral embroidery. I almost always take it with me when I'm travelling. It makes anything else I'm wearing more interesting and put together." The common thread that runs through many of the best dressed in this category is accessories: From nerdy specs to an elaborate pair of shoes, like for any other fashion girl, outfit success is all in the details. Whether you choose to seek out today's most appropriate trends or look back at iconic, demure fashion moments in time (the team at The Modist thinks of classic ensembles from Grace Kelly, for example), there's no one prescription for pulling a modest wardrobe together. 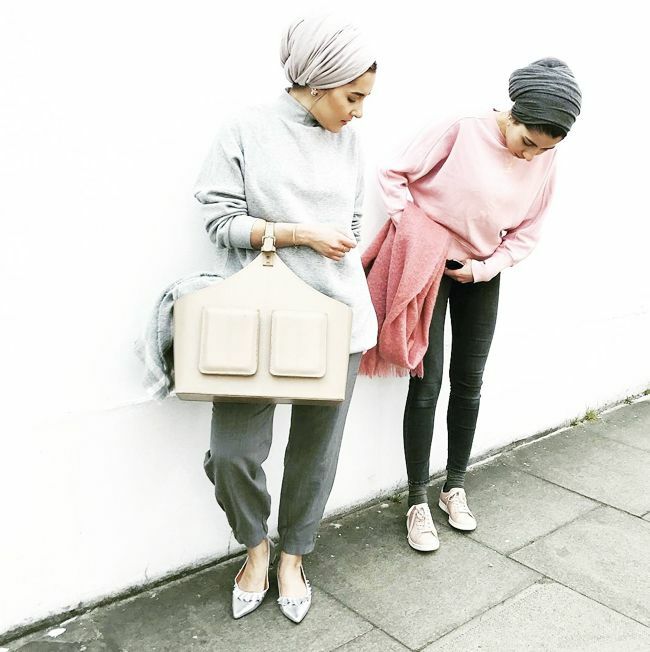 Who are the best brands to turn to for modest fashion? Alongside the pared-back, ultra-cool designs of Hana Tajima, it's plain to see that mainstream high-street brands and designer labels alike are starting to cater this market. The A/W 17 runways of Max Mara (pictured above) and Alberta Ferretti, for example, featured Somali-American model Halima Aden wearing the collection's "regular" but modest-facing ready-to-wear collection with a matching hijab. Mango debuted a Ramadan collection this time last year, and the brand is often tagged in modest fashion outfit posts on Instagram. The knack to looking unique while adhering to pious style parameters appears to be in seeking out both trend-driven and classic items and wearing them together (often in a layered ensemble). However, should that seem too draining on your time, e-tailers like The Modist step in to provide a perfectly edited solution. "We often find relevant pieces in every brand we consider," says Sasha Sarokin, The Modist's fashion and buying director. "The brands that make the list, however, naturally represent modesty in a chic and fabulous way. 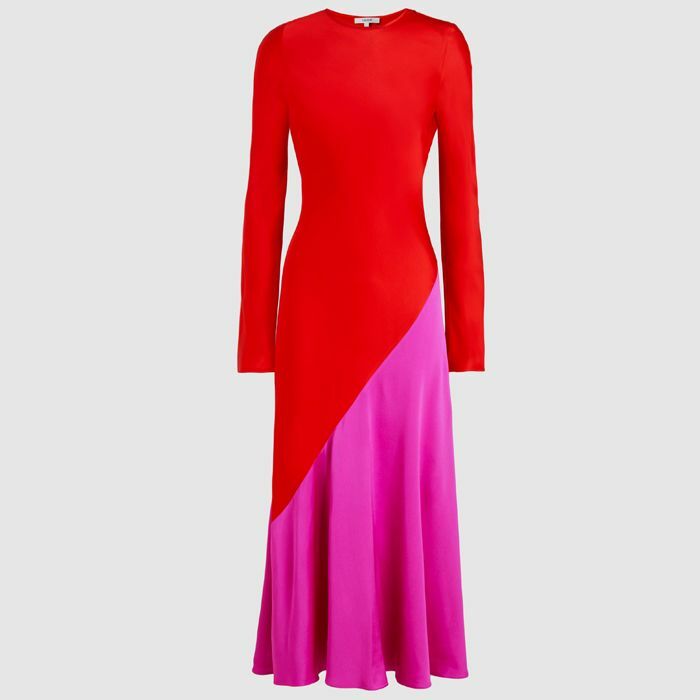 Some of the must-have pieces this season are from Ellery, Adam Lippes and Christopher Kane." Being religious and fashionable: Why is that a problem for some people? It's a hotly debated topic, and like with anything in this world, there are many sides to the story. Some onlookers feel that being self-conscious about your outer image could be non-religious in itself. But there's another side to this retail sector being a prime target for sales and marketing. "There are some commentators who say they don't want Ramadan to become a fashion pressure," Lewis says. "Say if you're going to break the fast, and every time you see a different group of friends and family, do you have to have a different outfit? Do you have to be on trend? Are some women going to be priced out of piety because participating in consumption becomes an obligation that makes it hard to be involved in community events?" However, outside of the obvious positives in terms of empowerment, and noting that many modest dressers are feminists, Lewis explains that other important ethical conversations are often borne out of the modest fashion movement. "I've been seeing for quite a long time from fashion bloggers, designers and consumers that it's all very well to say that because of my religious convictions [I'll wear this] … but are you buying too much? Or that it's not just how wear your hijab or how you're styling your hijab, but where did that come from or who made it? What is the environmental and social impact of your clothes? Many fashion consumers, particularly younger fashion consumers, are very motivated about [this] in general." What's next for modest fashion? Many of the women I spoke to all felt that the next stage for modest fashion lies in diversity: The diversity of women who are choosing to dress this way, as well as an expansion of designers, influencers and platforms that this department will seep into. Idrissi is hopeful that more major retailers will collaborate with modest designers, while Lewis predicts that we may start to see more modest fashion events that live offline and empower women in person. "While I believe it will continue to grow naturally, as it caters to a particular woman, not a culture or a religion, I also believe modest fashion shouldn't even be labelled," says Bashir. "It should seamlessly be integrated into the industry." Want to learn more? Be sure to read Muslim Fashion: Contemporary Style Cultures (£24) by Reina Lewis for further brilliant information.